Kids' Book Review: Review: What's Inside? Every day we are surrounded by things. Things on the table, things in our bag, things in drawers, things in the fridge, things on walls. Some things are broken, some things are lost, some things are in the right place, some things aren't. This is a book that has fun with all those things! 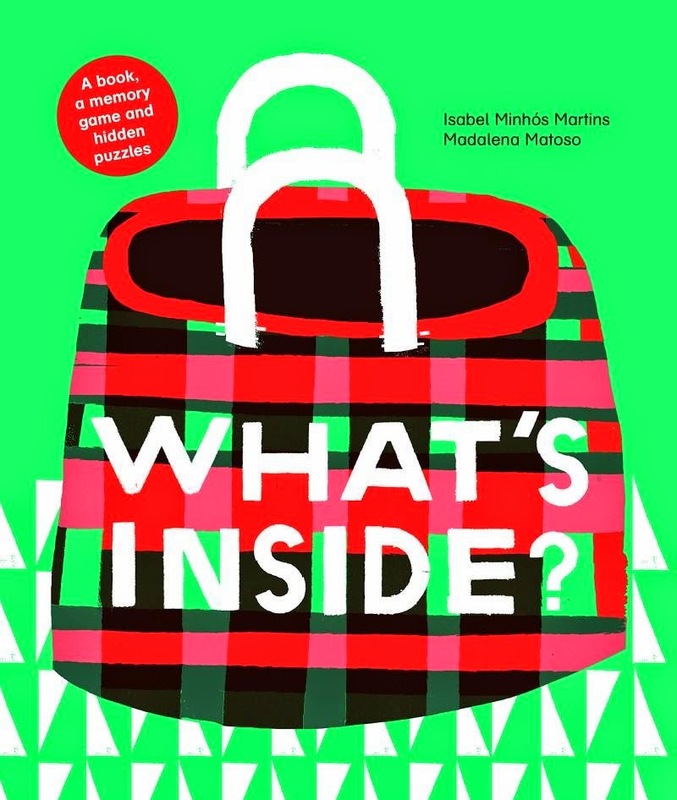 What's Inside opens with the question: What's inside Mum's handbag? On the next spread, in striking green, red, black and white illustrations, are all the things that are in her bag. A shopping list, a purse, an earring (where's the other one? ), a little broken wooden horse, an envelope, keys … the list goes on. There's even an 'invisible mobile phone' (the dotted lines show that the phone should be there but, oops, Mum's forgotten it somewhere!). We move on to the hall table drawer. There, in a box of odds and ends, is the missing earring. There's lots of other stuff in the drawer too, and kids are encouraged to count all the paper clips. The activities continue. On the kitchen counter spread, kids are asked to name what items can be eaten and which ones can be drunk. Later on, they need to identify those objects that shouldn't be kept in the fridge and count up how many animals appear on the wall. At the back of the book are further suggestions for things to find on each page. This is a fantastically clever idea for a book that will entertain children across a pretty wide age spectrum. Very young kids can simply practise identifying the various items. Slightly older kids can answer the questions, while those from middle primary onwards can test their memories in the harder challenges.